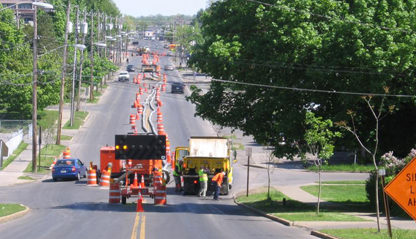 The Department of Public Works (DPW) serves as the backbone of the city. We plow the streets, pick up the trash, maintain the sewers, keep traffic flowing, maintain our parks, maintain our streets, and issue handicap parking permits. Our easily accessible location at 1200 Canal Street Extension, between Peat Street and S. Midler Ave. is open to the public from 8:00am until 5:00pm Monday through Friday. 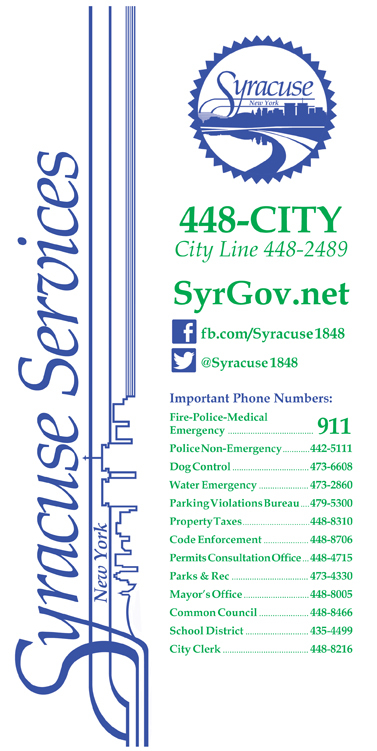 Essential services and our Dispatch Office are open 24 hours a day, everyday. Free mulch is available to citizens year round. The mulch pile is located on the access road to the DPW complex, just off S. Midler Avenue. Pull up to the pile and help yourself. You must provide your own containers and labor. DPW Permits are issued in City Hall Commons, Room 102, 201 East Washington Street. "The city of Syracuse may be under a foot or more of snow, but the citizens expect their roads to be clear." Governing Magazine's David Kidd was in his old home town of Syracuse the beginning of January on assignment. 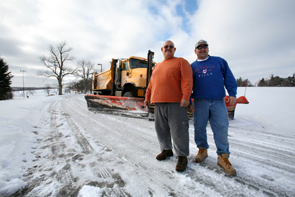 He photographed City Public Works crews as they kept the streets clean and safe. Click here to see the photo essay from the February 2010 issue. and click here to see more photos.